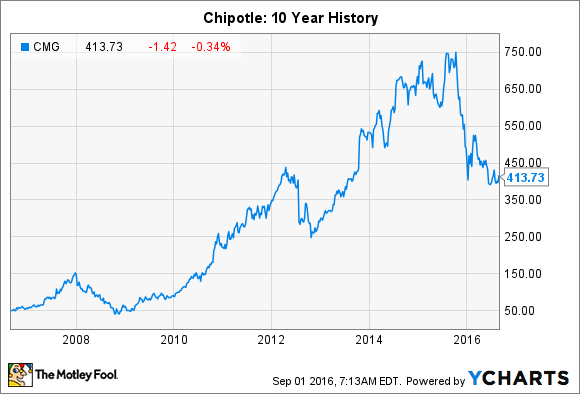 Chipotle Stock Split: Will It Happen Soon? Chipotle is the sixth highest-priced company in the S&P 500. Should the company split its stock? Still, shares of Chipotle currently exchange hands for approximately $415 per share, the sixth-highest 'per-share priced" company in the entire S&P 500. Should Chipotle still consider a stock split? 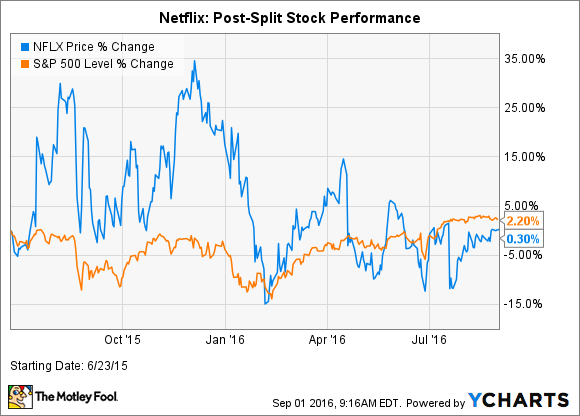 Stock splits typically do result in a one-time increase in prices. The theory is by lowering the share price, and keeping all other factors equal, it allows more investors to buy shares. The additional liquidity results in an upward lift to split-adjusted prices. Additionally, short term traders pile in companies that announce stock splits, giving the stock a further boost. The average three-month volume (shares traded) tends to support the thesis that lower share prices increase liquidity. The ten highest-priced S&P 500 stocks average a three-month volume of approximately 1 million shares per day while the ten lowest price shares average trading volumes of 17.1 million shares per day. In the long run, the company's operational performance is the main driver for future stock returns. And right now the biggest concern about Chipotle has nothing to do with competitor strength. Instead, the biggest concern investors should worry about is the loss of trust in the company's ability to provide safe food. These concerns are particularly brand damaging to Chipotle due to the company's stated value proposition of "Food with integrity." Chipotle attracted the GMO-eschewing, ingredient-sensitive diner that is likely to be harder to win over than the average consumer. Chipotle has wisely engaged in a few "win-back" campaigns like the recently announced "Kids Eat Free on Sundays," giving college students free sodas, and its Chiptopia Summer Rewards campaign. While it's a smart move to convince skeptical former customers, there's no guarantee the company will win back many of these consumers and, in the short term, these freebies will weigh on margins. As far as company analysis goes, it's a rather simple story. The company needs to win back customers and comparable sales is the best metric to determine its success at doing so. Investors should focus more on operational and reputational improvement and less on if the company will split its stock.